Hello! 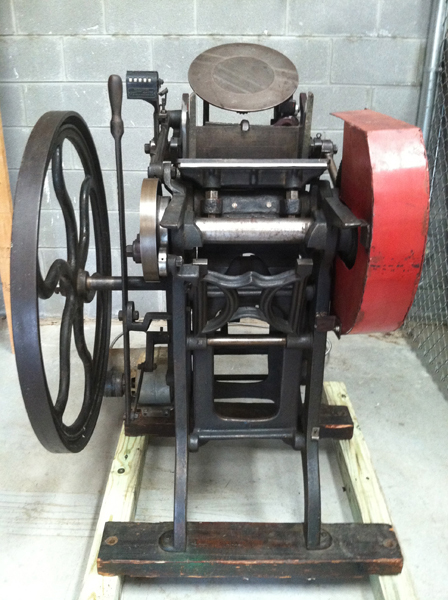 Welcome to the world of letterpress! What a lovely machine you picked up. 🙂 My husband and I are printers in Charlottesville, VA … well, we’re on our way to getting started. We have some handmade wooden feedboards for a C&P NS 10×15. I’m not sure if they’d fit your press, but they haven’t had any placement holes drilled in them yet. If you can’t find any used ones or find anyone to make boards that suit your press, don’t hesitate to get in touch. 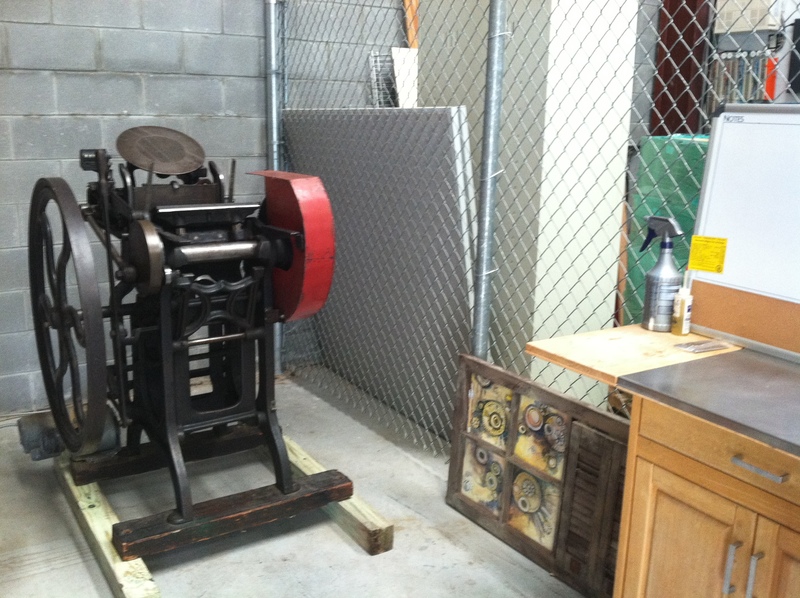 Well, don’t hesitate to get in touch regardless … we love to meet local Virginia printers!